Janice is a “Jersey girl” who graduated from the University of Oklahoma with a Bachelors in Business Administration in Petroleum Land Management (the Real Estate end of the oil business) securing oil and gas leases and negotiating trades and agreements for the exploration of oil and gas. This was followed by an opportunity to manage the financial portfolio of the retired CEO and Chairman. Soon afterward, she transitioned into the educational field as middle school special education math teacher which brought her full circle back into the real estate industry. 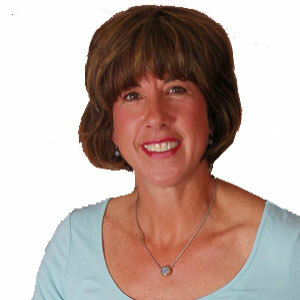 Janice is extremely organized and motivated and brings a high level of enthusiasm to your real estate experience. She is able to excel in such a competitive industry because of her ability listen to her clients and work tirelessly on their behalf. She understands our local market and uses her experiences to create a solid team to maintain impeccable communication and address every detail of the transaction. Janice is married and has raised three children. In her spare time she is always looking for new adventures, especially with her family, enjoys tutoring students in math, and all activities outdoors Florida has to offer.